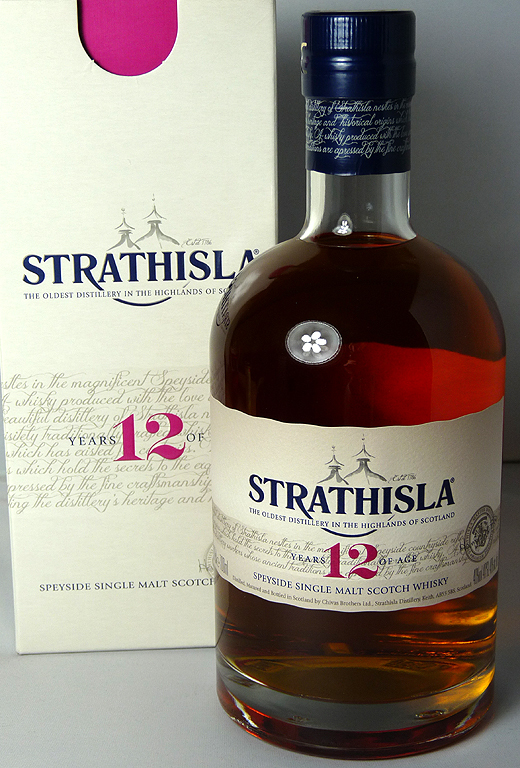 I’ve always liked the name Strathisla. There’s something very romantic about it. Perhaps there’s an element of that about the Strathisla distillery and location, which is said to be one of the most picturesque. Established in 1786 it also has a strong claim as one of the oldest distilleries in Scotland. When checking the bible review of the Strathisla for 2013, and also other reviews online, I couldn’t help but notice that they say the 12-year-old is 43%. My bottle is 40%, so I’m taking the bible rating of 87.5/100 with a pinch of salt. Ralfy’s review appeared as if by magic a few days after I wrote this blog, so I’m adding this update. It seems, according to him, that this version of Strathisla has seen better days. 83/100 is a low mark for Ralfy, and the faces he pulls during the tasting makes you think he’s wondering if 83 was a bit generous. I will have to see!